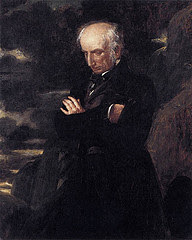 In his Preface to the Lyrical Ballad, Wordsworth tells that he had chosen low and rustic life for treatment in his poems. He chose this life because, according to him, in that condition the essential passions of the heart find a better soul in which they can attain their maturity. In humble and rustic life the essential passions of the persons are less under restraint and therefore express themselves in a plainer and more emphatic language. Wordsworth also says that the humble and rustic life and the elementary feelings of human beings co-exist in a state of greater simplicity and can therefore be more accurately contemplated and more forcibly communicated. The manners of rural life germinate from those elementary feelings, and because of the necessary character of rural occupations, those manners are more easily comprehended. Finally in humble and rustic life, the passions of men are incorporated with the beautiful and permanent form of nature. Thus in Wordsworth’s opinion, person living in the country side and pursuing rural occupations are the best fitted for portrayal in poetry because these people live in an environment which is more favorable to the growth and development of the essential passions of the human heart and because in this environment people do no suffer from any inhabitations and therefore speak a plainer and more forceful language. These people lead simple lives and their feelings are of an elementary kind. They do not have the vanity which people in the cities possess. These people live in contract with the beautiful and permanent objects of nature (mountains, streams, trees, flowers etc.) This contract favors the natural maturing of the feelings and passions in the hearts of these people. Wordsworth collects all the traces of vivid excitement which are to be found in the pastoral world. Simplicity is to be the keynote of his theme as also of his style. He is to treat the things of everyday life, to open out “the soul of little and familiar things.” In We are Seven , the poet talks with a little girl who tells him of her brothers and sisters. In another poem, a female vagrant tells the artless tale of her life. Another poem concerns a shepherd, “a Crael by name,” and another pertains to a leech-gatherer. Thus Wordsworth shows that even in the poorest lives there is matter for poetry, schemes that can stir the imagination and move the emotions. Thus Wordsworth democratizes poetry. This democratic outlook is something new in poetry. He seeks his subject among forsake women, old men in distress, children and crazy persons, in whom the primary instincts are emotions showed themselves in their simplest and most recognizable form. It is to a large extent, the corruption of civilized society which makes Wordsworth choose his subject from humble and rustic life. In choosing them from rustic rather than urban life he is influenced, no doubt, by the fact that he himself is country bred. He is convinced that among humble and rustic folk, the essential passions of the heart fid a better place to mature in and are more durable. There is the closer intimacy which isolation forces on rural households; there is the sharing of common tasks and even, in the shepherds’ life, of common dangers. There are other virtues also like contentment, neighborliness, ad charity, which can flourish in the kindly society of the country. Coleridge in his Biographia Literaria analyses Wordsworth’s theory regarding the choice of theme. Coleridge thinks differently on this subject. He does not believe that characters should necessarily be chosen from low and rustic life. He does not believe that a close contact with the beautiful and permanent objects of nature produces any wholesome effect on the rustic persons. He does not even believe that Wordsworth has followed his own theory loosely in his poems. He does not believe that rustic life necessarily helps the formation of healthy feelings and a reflected mind. In fact, the negation of rustic life put as many obstacles in the way of this formation as the sophistication of city life does. Coleridge has certainly argued his case well. But there are certain considerations which he has not taken into account. Wordsworth’s aim is to find the best soil for the essential passions. By avoiding artifice, he looks for simplicity. He has found poet extravagantly pre-occupied with the affairs of nymphs and goddesses. He therefore wants to turn his attention to the emotions of village girls and of peasants. Wordsworth is not trying to unite familiar anecdotes on nursery tales; he is seeking the fundamentals of human life by contemplating it in its simplest forms. Yet the fact remains that Wordsworth’s theory has a limiting effect on poetry. The democratization of the theme of poetry is certainly to be welcomed, but to confine the poet only to humble and rustic life is to debar him from the rest of life. Human life is very wide and humble. Rural life is only one sphere of human life. So, in conclusion, we can say that Wordsworth’s theory of language is not without its faults. But at the same time its merit cannot be ignored. It has a far reaching importance. It changes the tendency of having much flown diction for poetry.